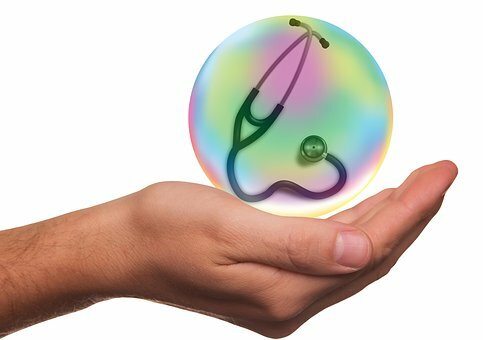 Health Insurance is worth in India or not? is the question I usually hear from my existing clients or prospective clients. Today, There is a serious discussion happened with one of my client. He is a well educated person, and well settled and earning good salary. A few years back, I gave him “Financial Planning. As a part of financial planning, I had given him health insurance planning to him. He health insurance for his family and for parents as well. Three years completed, Now comes the fourth and the policy is due for renewal. Further more, He is not willing to pay the renewal premium, and the policy got lapsed completely. Now he has to take the new insurance policy and his old policy doesn’t available. Moreover, he argues its a waste of money. I will explain health insurance benefits and features in an other article. In this article, I will explain how we may lose our wealth for not having health insurance, and sometimes we will become poor too. I have seen people depending on health schemes run by Governments for treatments at hospitals. Let’s take the assumption that a person is saving Rs.1,00,000 per year for 20 years, after 20 years he got 40 lakh as maturity. In this process, he neglected to take this health insurance policy, and he is healthy all these 20 years. Then his wealth in hand is only 30 lack not 40 lack, In addition his rate of return on his investment is not 6.22%. If you see above table, the return is eroded to 3.72% from 6.22%. So, if we neglect health insurance, as a side effect sometimes may lose all our wealth accumulated over the years. As a result of this, this person return on investment will fall much below than the inflation rate which is also another big risk. yes, sometimes it is profitable too. Lets, assume a 30 year old person started paying Rs.20,000 per year for floater health insurance policy where all the family members are covered. In addition, remember every year health insurance premium will increase depending on the age of main policyholder(proposer) in the policy. If any one of the family members went for 1 lack treatment in 3rd years. See the table, I have taken 5% premium increment every year. In addition, there is a IRR value or 77% shown in the table which is nothing but the profit from the health insurance policy. Unfortunately, If any one from the family went for 10 lack worth treatment, then lets see profit or loss from this health insrurance. Unbelievable profit or return percentage showing in above table. In the same way, some people argue that they are healthy now, then they will get a loss if they pay premium till they survive. lets drag the values in above tables for 50 years and calculate an other assumption. If you see the above table there is a return of 2.486%. moreover, the person had treatment for 50 lack after paying the premium for 50 years. Health Insurance premium is assumed to increase by 4% every year in the above table too. Please do not say that you will not need any kind of treatment in life time. Why I took 50 lack as treatment cost after 50 years as an assumption as some big treatments in these days are costing nearly 50 lacks. Here, assuming 50 lack treatment after 50 years is not bad at all. I will explain about this with a real example in my life. Not only I have a Financial Sector experience but also I am Financial Planner too. Therefore, I took health insurance for both my parents seven years. My mother undergone a stent operation after paying for premium for 3 years. The total treatment cost was around 3.5 lack. I told one of my Aunt to take health insurance when she came to visit my mother at the hospital. Then, she smiled at me and told that your mother will shout at others thats why she got heart attack. In addition, she told me that she is maintaining health life, hence there is no need for insurance for treatment. Unfortunately, After six months, my aunt niece joined in the hospital due to a heart attack. My aunt borrowed that entire 6 lack, and she is still paying the interest even after 4 years of her niece treatment. She is not in a position pay off the principle of the amount borrowed. As she is capable of paying interest only, as her income is low. This story of paying interest to that 6 lack has no end. In addition, if my aunt had paid Rs.20,000 as a premium for health insurance for her niece entire family which is just 3.3% of 6 lack loan she borrowed for the treatment, then my aunt would have been other side of the coin. Taking affordable health insurance and private health cover from a good health insurance company over and above Govt provided health schemes is good. As the health cover provided by those social security schemes not enough to protect you from all health problems. There are many limitations to those schemes. You should private health cover( insurance) even your company or Department is providing some kind of insurance for health. Read this article about human life value for life insurance. Click here to read. Also, read about how to invest death claim received from the insurance company. Click here to read. Also, read about Govt Life Insurance APGLI. Click here to read. Also, read about Lic New Anand Policies- Why this kind are not good? Click here to read.